To an outsider, Japan felt too good to be true. The subway system is packed with people, yet every inch of the trains is spotless. You could find incredible udon or ramen on every street corner. 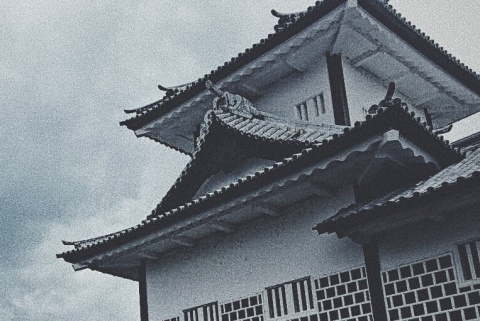 There were Shinto shrines tucked between office buildings. The whole country just seemed to have it together. Strolling through a market in Tokyo filled with ceramics, seafood, and spices on my first day in Japan. 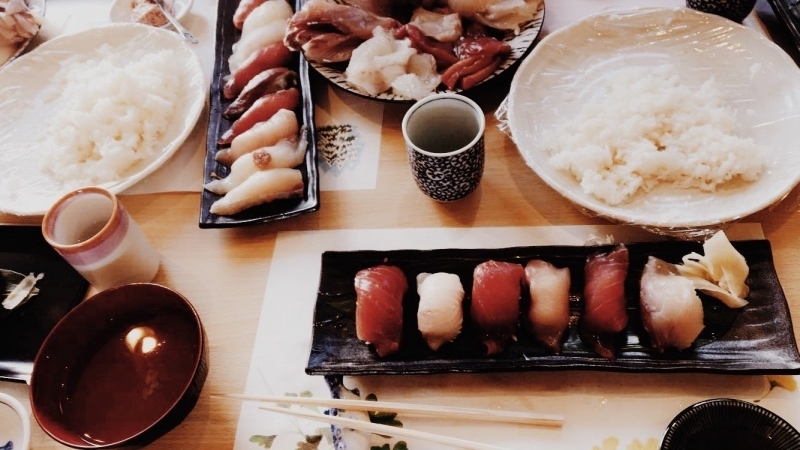 At a cooking class we learned the art of making nigiri sushi- raw fish placed on top of sticky white rice. 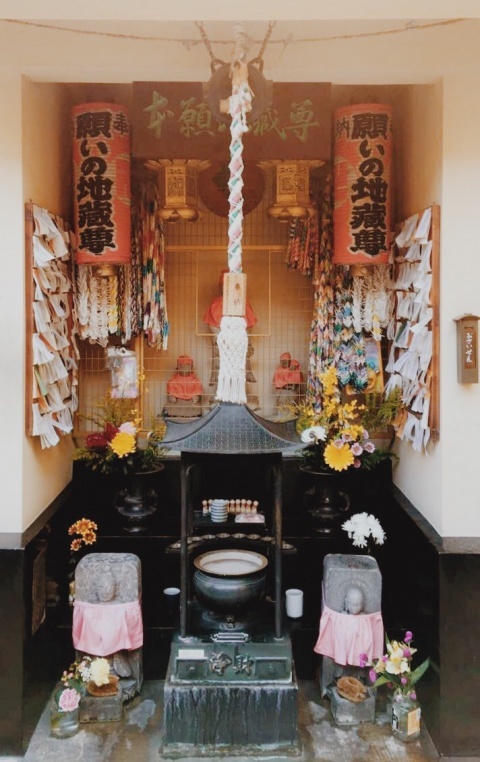 A shrine I found in the middle of Tokyo, surrounded by apartments and office buildings. As the days went on in my trip to Japan, I started to notice more. It was rare to see a local not eating alone in a restaurant, and everyone always seemed to be going to work, and nowhere else. Three people cleaning part of a garden in the city of Kanazawa. A little store I passed in the streets of Tokyo at night. Part of an eery but beautiful castle I went to near the end of my trip. It made me sad to watch this, but then, on my last day, I decided to hop on a train and head out of the city. The end of the line was a small mountain that I ended up hiking, but that was surprisingly not the highlight of my excursion. On the train ride home, I notice a young Japanese woman that kept staring at me. While pretty much everyone else was wearing black, white, or gray, she had on a bright blue coat. A few minutes into the ride, she bent over and I could hear the nervousness in her shaking voice as she started to talk to me in broken english. First she asked, “Where do you come from?”. She was excited when I said the United States. I loved watching her eyes light up as we kept talking about why I had come to Japan and how old I was. Once we reached her stop, she said goodbye and thanked me for talking to her and went off to work. Watching the city become hills and forests. Mesmerizing ceramics I found being sold at the base of the mountain. The amazing woman I asked to take a picture of during our conversation on the train. I had so much fun talking to this woman who was a complete stranger. It was a reminder of how easy it is to misjudge a culture from the way it looks at first. Japan was quiet and peaceful, but as soon as I engaged with a local an entire world of color opened up and I realized just how complex, fascinating, and truly beautiful this place was.